Ready to make the Choice? Here is your prayer: Dear God, I admit that I am a sinner and that I have messed up from time to time. I believe that Jesus died on the cross for my sins and that God raised Him from the dead. I choose to follow You, Jesus, and I confess that You are my Savior. Thank you, Jesus, for saving me. I love You. Amen. You've Taken the First Step, Now What? This book, written by Pastor Ed Young, will give you an idea of what the Bible, God's Word, says about your next step in your relationship with God. When you step over the line of faith and choose to follow Jesus, you become part of a movement. But this movement, Christianity, is not a solo sport. That’s why the local church exists. Each week, the church gathers to worship God, discover his plan for our lives, and learn how to live out his priorities. Commit to getting involved. Because the local church is crucial to your growth and experience of the abundant life Christ has in store for you! Get connected to what is happening at Fellowship Church through our Growth Track. Simply put, baptism is an outward display and celebration of your inward decision to trust Christ with your eternity. It’s an act of obedience, a step of acknowledgement that is representative of the fact that Jesus died on the cross, was buried and rose again from the grave, alive, so each of us can experience eternal life. 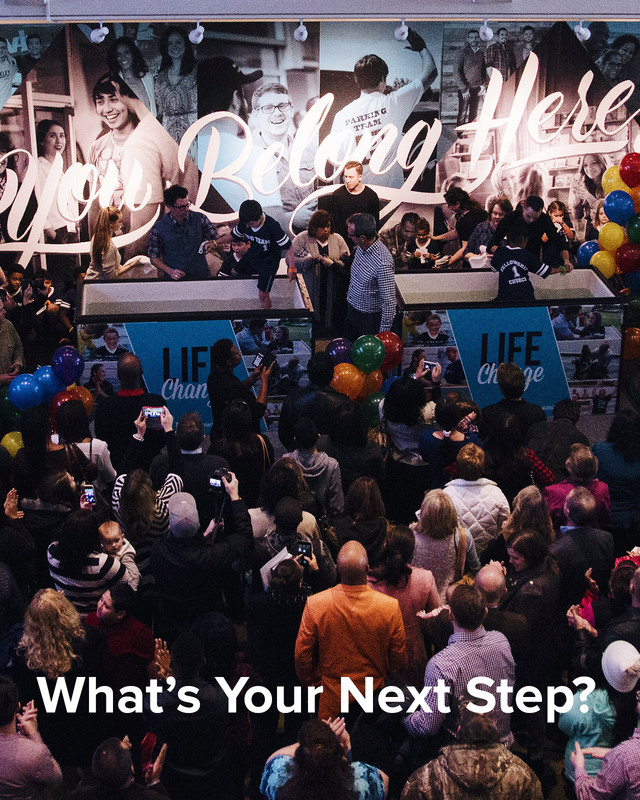 If you’ve made the decision to follow Jesus, baptism is your next step in your spiritual journey. Most of us want to make a difference; we want to leave our footprint on the world. And God has gifted each of us with a particular set of skills to do just that—through the local church. As a new Christ follower, one of the most powerful lessons you can put into action is serving in the church. Because when you volunteer your time and talent, you will discover the key to unlocking a life of influence and change. Unlock your potential and serve at Fellowship Church. 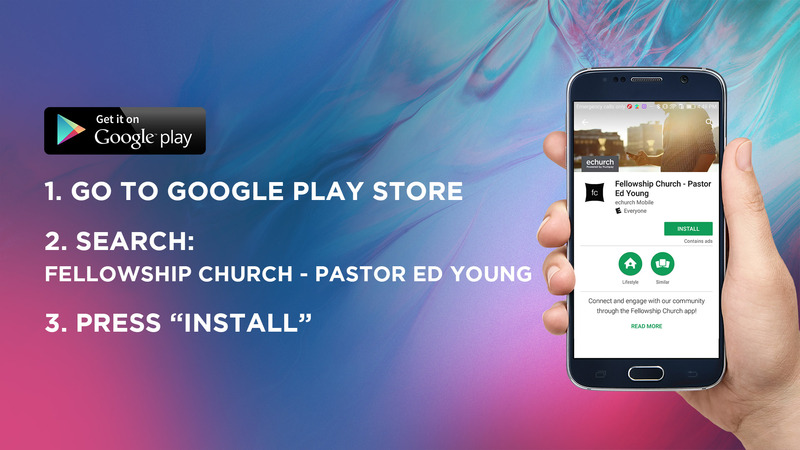 Download the FC App Today! 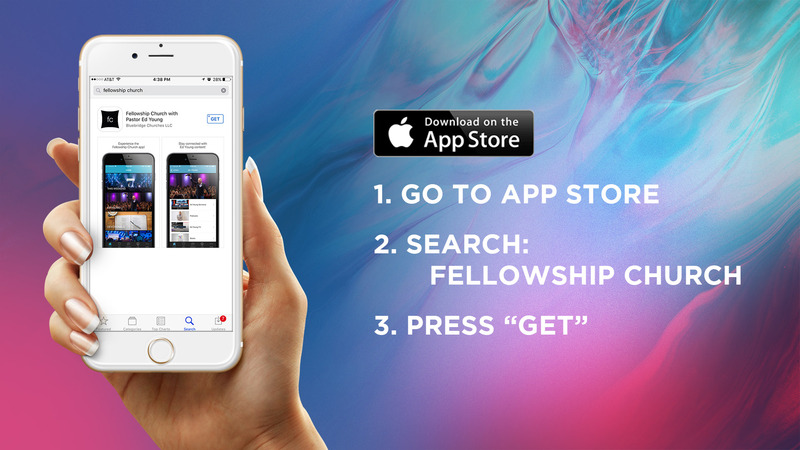 Open the app store on your device and search Fellowship Church. Download the free app and be sure to enable your push notifications.